You can jump right to the interview at PhysOrg.com titled “Dr. Ben Goertzel on Artificial General Intelligence, Transhumanism and Open Source“. 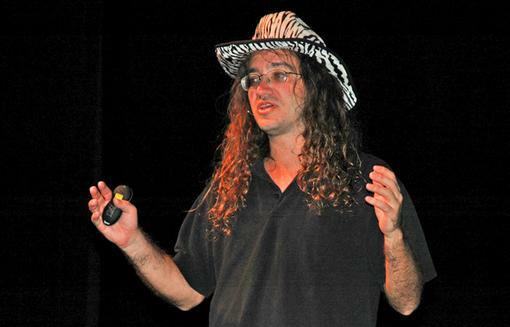 Dr. Ben Goertzel is a prominent leader in the wave of advances in fields of artificial general intelligence. He is CEO of Biomind LLC, a company providing AI-supported analysis of biological data, as well as an open-sourced version of many of the company’s software tools—aptly named OpenBiomind. He is an advisor to the Singularity Institute for Artificial Intelligence, and its former Director of Research. He leads Novamente LLC, a privately held software company that focuses on Artificial General Intelligence. Novamente developed and released the first versions of the now renowned open-source project & foundation (OpenCog official website or Wikipedia article). You can find out more about Ben on his Official Website.